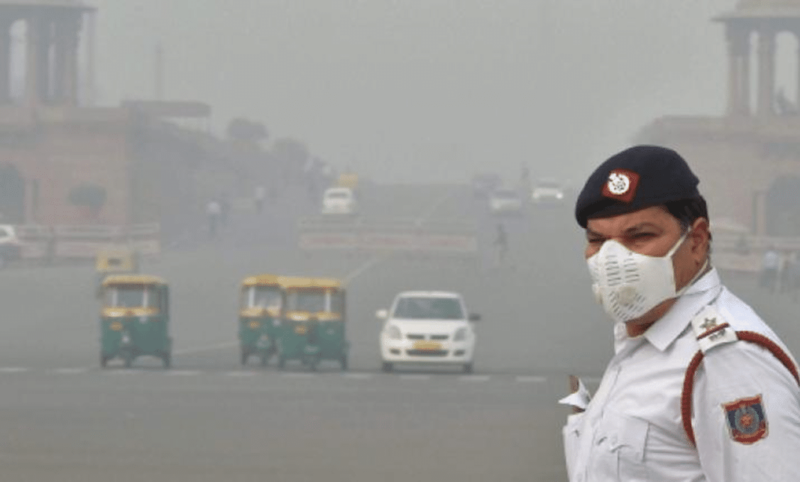 The rising pollution level has proven to be fatal for the Delhi government. And now the National Green Tribunal has slapped a fine of Rs.25 crore on the Arvind Kejrival’s government for failing to control the increasing pollution conditions. The tribunal had ordered the government to shut down 51,000 industries in non-conforming areas of Delhi, but it wasn’t followed by Kejrival’s government. The green tribunal has directed the Delhi government to recover the amount of fine from polluters, and also by cutting the salaries of officials who are responsible for checking the pollution. And if Kejrival’s government fails to pay this fine, then it will have to pay a fine of Rs.10 crore every month. After the chief secretary filed an affidavit in the court whose contents were found to be vague by the panel, the directions for imposing fine were given by the tribunal’s chairperson Adarsh Kumar Goel. In its order, the principal bench of the court told that the compliance report submitted is just an eyewash. And that the Delhi government has not prosecuted even a single illegal industry nor has it named any industries running in non-conforming areas. A hefty number of petitions were combined by the court on the air pollution asking for shutting down of illegal industries as well as burning of plastics and rubber in Bawana and Narela industrial areas. As per the reports, these two areas generate around 1,500 metric tonnes of waste each month. The city has been under the killing wrap of smog and pollution for a long time now. Not only this year but each year it’s become a pattern. And industrial waste only adds up to it in an extremely fatal way. The Central Pollution Control Board (CPCB) recorded an overall air quality index of (AQI) of 314, which means an extremely worse case of polluted air. Generally, the AQI of 0 to 50 is seen as ‘good’, 51 to 100 as ‘satisfactory’, 101 to 200 as ‘moderate’, 201 to 300 as ‘poor’, 301 to 400 as ‘very poor’, and 401 to 500 as ‘severe’. WATCH: Captain Marvel Trailer 2 is Here and it’s Mindboggling!